How much is Meyer Luskin Worth? Meyer Luskin net worth: Meyer Luskin is a Los Angeles based entrepreneur and philanthropist who has a net worth of $1 billion. Meyer Luskin earned his net worth as the founder and CEO of Scope Industries. Scope Industries pioneered the process of recycling expired bakery products into animal feed. Scope removes waste from hundreds of bakeries and food manufacturers around the countries then processes the expired product into horse and cow feed. 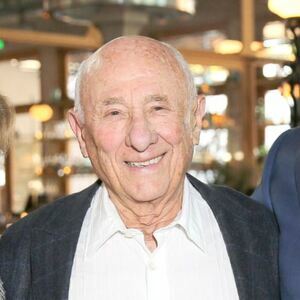 Luskin took over Scope Industries in the 1950s and has since grown it into a hugely profitable company that generates over $120 million per year in revenues. Thanks to Luskin's business acumen, Scope has grown at an average annual rate of 600%. The truly brilliant idea behind Scope is that it is literally making a fortune off someone else's trash and the end user (horses and cows) do not have high taste standards! Meyer Luskin is famous for donating $100 million to his alma mater UCLA. It was the second largest gift UCLA has ever received behind billionaire music mogul David Geffen's $200 million donation to UCLA's medical school in 2002. 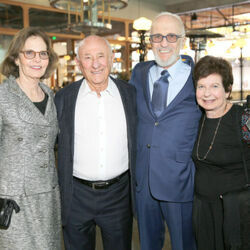 $50 million of Luskin's gift established the Meyer and Renee Luskin School of Public Affairs at UCLA, the other half is earmarked for constructing an off-campus conference center.